What happens at this event: You will go on 8 short dates in one night! At this event "Younger Men" (35 and under) will go on dates with powerful, slightly more "Mature" men" (36 and over). 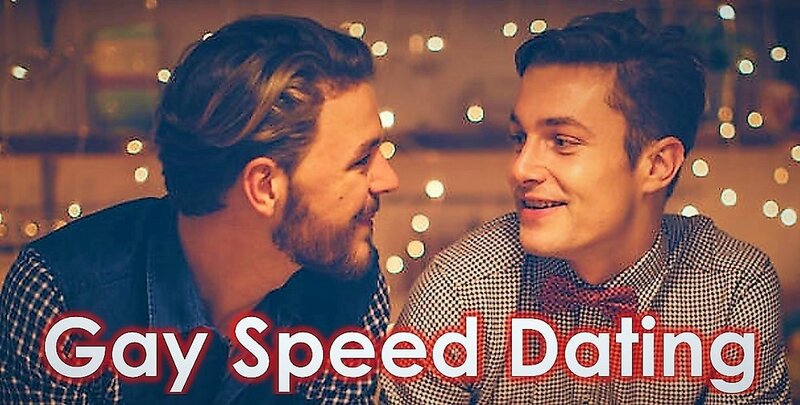 Each date lasts 6 minutes and is a really fun, quick and easy way for gay men to meet each other. If there is chemistry from both guys, we will connect the two and you can go on more dates. Registration: $25 (ages 35 and under) and $37 (ages 36 and over), and includes 8 dates and the opportunity to mingle with the entire room during 3 general mingle sessions. Is this event for you? : Well, are you a young gay man who always has the hots for the silver fox? Are you 35 and under and yearn to date a handsome successful mature man? Is it the suit that turns you on? Maybe the nights on the town away from the other club kids and instead painting the town red with an older established MAN? We have the event just for you. At our “Millionaire Matchmaker” gay speed dating, younger gays (35 and under) will go on dates with handsome mature men (36 and up). If you connect with men outside your age range, this is the event for YOU!